Saying no to drugs can be extremely daunting for teens, especially if they are caught up in the wrong situation or with the wrong crowd—including their friends. The simplest way to teach your teen how to refuse drugs is to talk to them about drugs and the possible situation of being offered drugs. Here are some things to keep in mind. 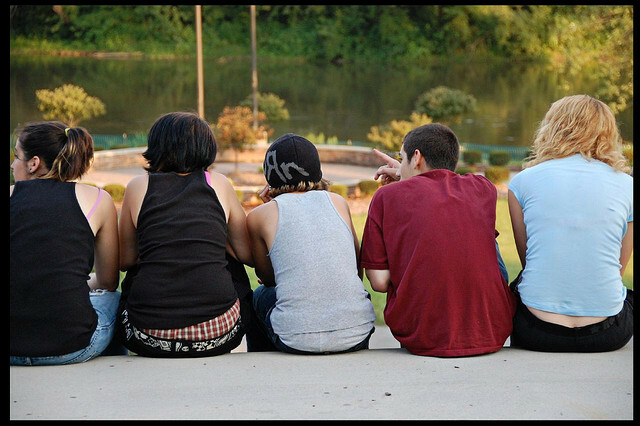 If you are concerned about your teen’s social group of choice, try steering them towards another group of friends who would have a better influence on them. Suggest they make plans with an old friend they haven’t seen in a while and offer to drive them to the movies. Alternatively, tell your teen about a new team that’s starting up in the spring and needs new players; participating in sports and other activities can be a great way to meet positive people. As a parent, your teen looks up to you, so it’s important to be a role model for them and set a good example. Treating your teen with respect and kindness will also build their confidence and let them know they are trusted by their parents. This confidence will help them stand up for themselves in a situation where they are offered drugs and want to decline. Remember, don’t forget to tell them saying ‘no’ to drugs is not the end of the world. Teens can often think that their popularity (and happiness) hinges on fitting in, but keeping them safe is going to take them much farther in the long run.